An insightful examination of why we compare ourselves to those above and below us. The United States was founded on the principle of equal opportunity for all, and this ethos continues to inform the nation's collective identity. In reality, however, absolute equality is elusive. The gap between rich and poor has widened in recent decades, and the United States has the highest level of economic inequality of any developed country. Social class and other differences in status reverberate throughout American life, and prejudice based on another's perceived status persists among individuals and groups. 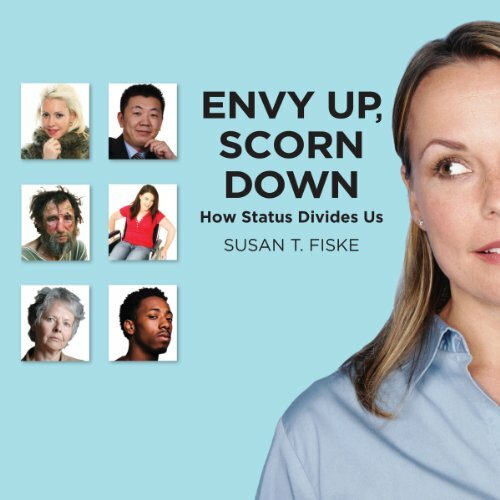 In Envy Up, Scorn Down, noted social psychologist Susan Fiske examines the psychological underpinnings of interpersonal and intergroup comparisons, exploring why we compare ourselves to those both above and below us and analyzing the social consequences of such comparisons in day-to-day life. What motivates individuals, groups, and cultures to envy the status of some and scorn the status of others? Who experiences envy and scorn most? Envy Up, Scorn Down marshals a wealth of recent psychological studies as well as findings based on years of Fiske's own research to address such questions. She shows that both envy and scorn have distinctive biological, emotional, cognitive, and behavioral characteristics. And though we are all "wired" for comparison, some individuals are more vulnerable to these motives than others.